Happy Halloween –No Happy Reformation Day! I know. October 31st is known for witches, goblins and trick or treat plus the Catholic Church tried unsuccessfully to redeem it all by calling it ‘All-Saints Day’. 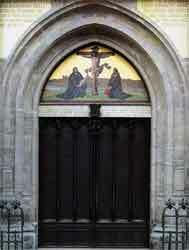 However a real earth shaking game changing event happened on October 31, 1517 when Martin Luther nailed his 95 Theses on the door of a church in Wittenberg, Germany starting the Reformation of the Christian Church. The enemy likes to use this day for propagating his dark agenda but this is also Reformation Day. This is a great day to pray for God to continue to reform and revive his church. Also pray for revival to break out in America once more and let Europe rise up and remember their great heritage and the foundation of it all which is in Christ Jesus. Response: This was a devastating episode for many Christians, particularly for their church in Colorado. I have always been unhappy with the way that many in the church ‘shoot our wounded’, but also with how little consistency there seems to be in the American church when it comes to Biblical procedures of discipline and restoration to ministry. I will admit that I have been extremely unhappy with how Ted Haggard and Gayle have handled their ‘exile’. Their choice of forums for airing their situation and grievances have been down right unscriptural. 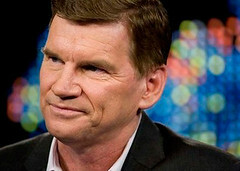 The appearances on ‘Oprah’, dozens of TV news shows, and particularly the HBO documentary The Trials of Ted Haggard have not been very helpful from my perspective. In fact, I believe that they have been used by the enemy to embarrass and belittle the church. Nevertheless, our Lord offers repentance and grace for all who have fallen short, if repentance it is indeed. What do you think?